Braces are an orthodontic construction which is intended for teeth alignment. 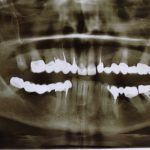 They consist of plates that are fixed to the teeth, and of an arc that connects plates and this way corrects teeth. The patient has to wear installed braces continuously for 6 months to one and a half – two years. Modern orthodontic brackets can be made of different materials and have different constructions, whereby there are several types of braces for teeth. What are the most common types of teeth braces? Metal braces are durable and relatively low cost. They effectively correct position of the teeth, but not very attractive aesthetically. Ceramic braces are strong enough and aesthetic. Their colour can be easily selected according to the tooth enamel color. They have two main disadvantages: relatively high cost and large size. Sapphire braces are made from artificially grown sapphire. They are durable, have high efficiency. These are almost invisible teeth braces due to the transparency of the sapphire and they are not stained by food. However, their cost is the highest among other types of braces. Furthermore, sapphire braces require thorough oral hygiene. Plastic braces are usually not used for adults, because they are fragile and easily colored by food. Vestibular bracket systems. They provide fixation to the front surfaces of the teeth, so that they then can be seen while talking and smiling. This installation method is the simplest one. In addition, vestibular braces cause less discomfort and it’s easier to care for them. But they are less attractive aesthetically. Lingual braces are installed on the inside of the teeth. They are invisible, but installation is more difficult, besides it’s more difficult to clean them. Simple. The arc is rigidly connected with the locks using ligatures. At the same time, due to the rigid fixation of the teeth to the arc, it is necessary to apply more force to move them. Self- ligating bracket system. It provides reliable fixation of the arc without its blocking. Therefore, it is possible to get more effect with less effort. Orthodontic bracket system, which is used in our clinics, is now one of the most popular. It is a self- ligating bracket with an original design: each lock has a firmly fixed cap, which leaves a small passage for the arc. As a result, we are able to fix the position of the teeth with minimal impact, the strength of which does not exceed the strength of mimic and chewing muscles. A minimal discomfort to the patient due to the little impact. Before braces installation the patient consults with a doctor, orthodontist, who determines the degree of deformation and helps to select the optimal type of bracket system. He conducts a full examination, which includes making photo of face, x-rays, creating molds of jaws. Next step is the installation of bracket system. This procedure is completely painless and is performed in a single visit. The orthodontist gives the patient some recommendations and assigns days of periodic visits for inspection and correction of braces arc. The frequency of follow-up visits depends on the degree of dentition deformation and the type of braces. 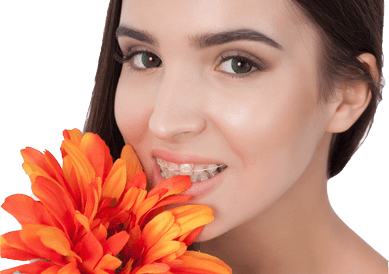 What are the terms of oral hygiene when wearing braces? Special brush for interdental spaces. It is desirable to exclude from the diet sugar, caffeine and hard products. Send us your request with description of desired dental correction. It is necessary to carefully examine the teeth and maximally prepare the oral cavity. It is convenient and cost effective to pay a week -end visit to Ukraine where a doctor will make a panoramic snapshot of the jaws, plaster models for the decision of the exact diagnosis by the orthodontist. The duration of brackets wearing is determined and a treatment plan is drawn up. Before the installation of braces, it is necessary to treat all caries, if present, eliminate gum disease, and carry out professional cleaning. For a dental brace quotation obtain your panoramic X-ray (ortopantagramma) – cost in UK approx. £75 and send it to us by filling in the form below. On the basis of information you provide our dentist estimates a volume of the expected dental work and its cost.